The new Ford Fiesta has finally made it to South Africa – not only does it look more attractive, but its interior represents a significant improvement over that of its predecessor. We recently tested the range-topping 1.0T Titanium automatic derivative to find out if this new Fiesta lives up to the hype... and whether you should consider buying it. 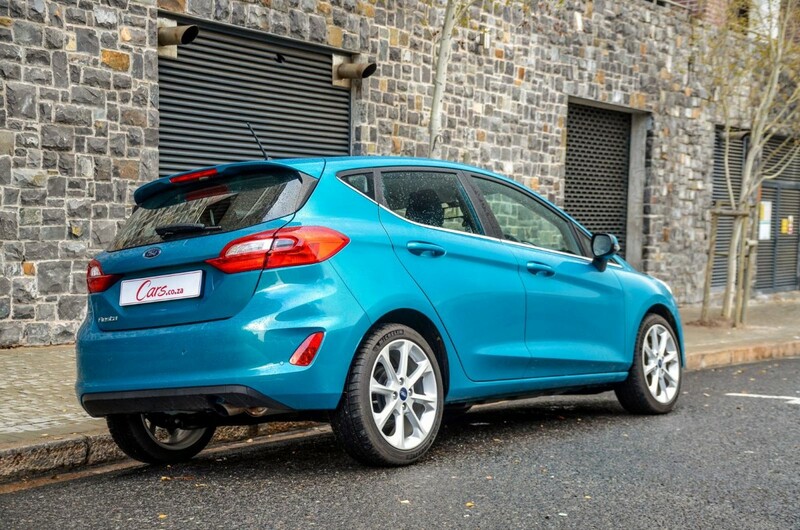 A refined design and hugely improved interior will please Fiesta fans. The archrival: Consider the Volkswagen Polo 1.0TSI Highline automatic, priced at R302 200. The new Polo is an excellent product and this derivative offers 85 kW and 200 Nm from its turbocharged 1.0-litre petrol engine. 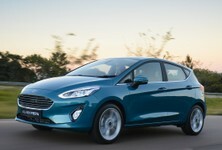 However, it’s not as generously specced as the Fiesta and its warranty and service plan are not as comprehensive either. Tick optional extras carefully. French value: For R40 700 less, you can hop into the Renault Clio 88 kW Turbo GT-Line priced at R269 900, which offers 88 kW and 205 Nm of torque from its 1.2-litre turbopetrol engine. 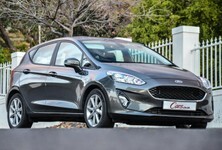 It too comes generously specced with most of the features offered in the Fiesta. If your budget can’t stretch beyond R300k (but you still want good value for money), then the Clio is a worth a look. Japanese class: Consider the Mazda2 1.5 Individual Plus auto priced from R292 000. It lacks the outright punch offered by its turbocharged rivals, but outputs are still decent at 82 kW and 145 Nm developed by its naturally-aspirated engine. The Mazda’s cabin is both modern and well-built with a generous amount of standard specification including leather seats, which makes it a good value proposition. However, its load bay is smaller than the Fiesta’s (280 litres). 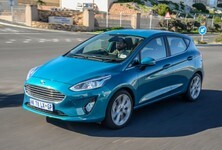 The new Fiesta's styling, inside and out, is a significant improvement over the previous model. 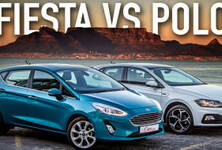 The Fiesta is a (B-segment) compact hatchback that has proven popular with buyers in South Africa over the years and the latest version, with its larger dimensions and refined styling, aims to shake up the segment where it competes with notable rivals such as the new Volkswagen Polo, Renault Clio, Mazda2, Opel Corsa, Kia Rio, Hyundai i20, to name but a few. 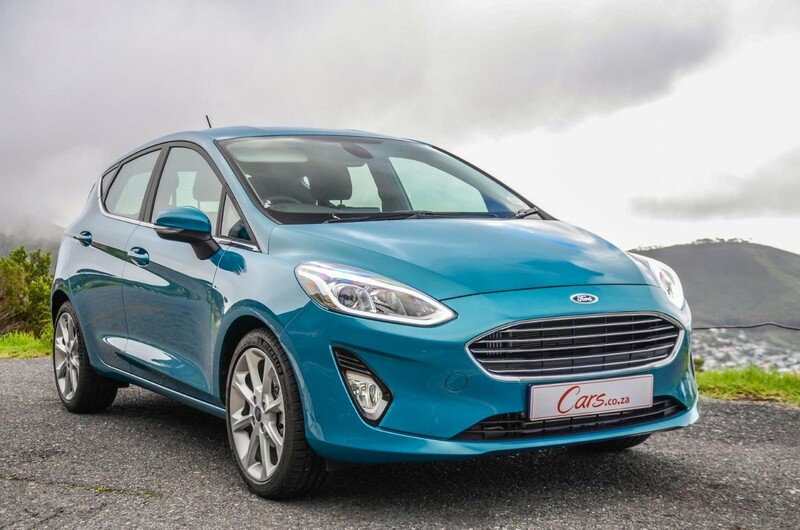 While it still rides on the proven, but now stiffer, chassis of the previous generation, Ford has gone to great lengths to enhance the Fiesta’s fun-factor while also improving refinement, in-car technology and safety. 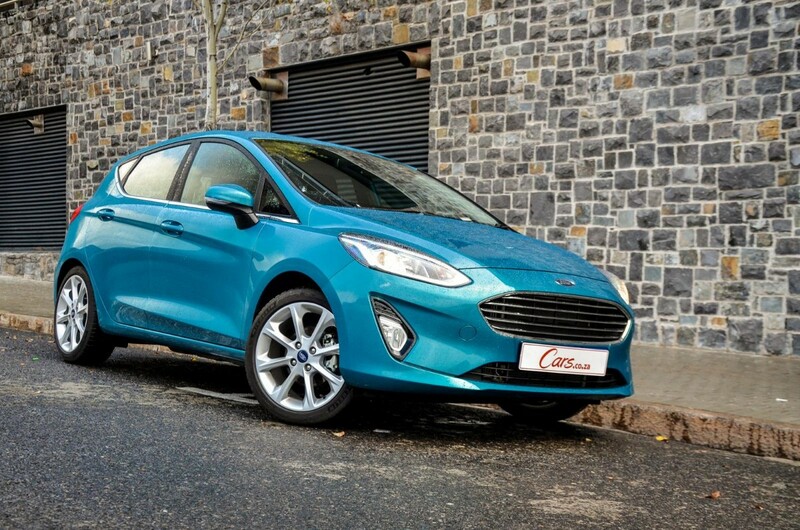 While the Fiesta's overall performance is adequate, it lacks fizz in automatic guise. 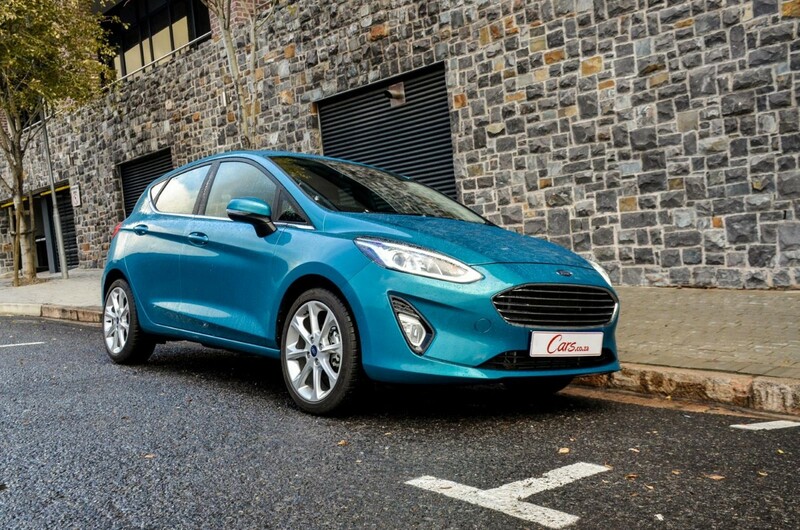 In automatic guise, the Fiesta 1.0T Titanium's 1.0-litre 3-cylinder turbopetrol engine delivers 74 kW and 170 Nm of torque (the manual Fiesta Titanium offers peak power of 92 kW). 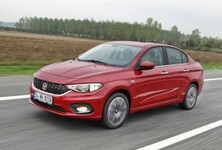 It’s front-wheel-driven and makes use of a new 6-speed automatic transmission. 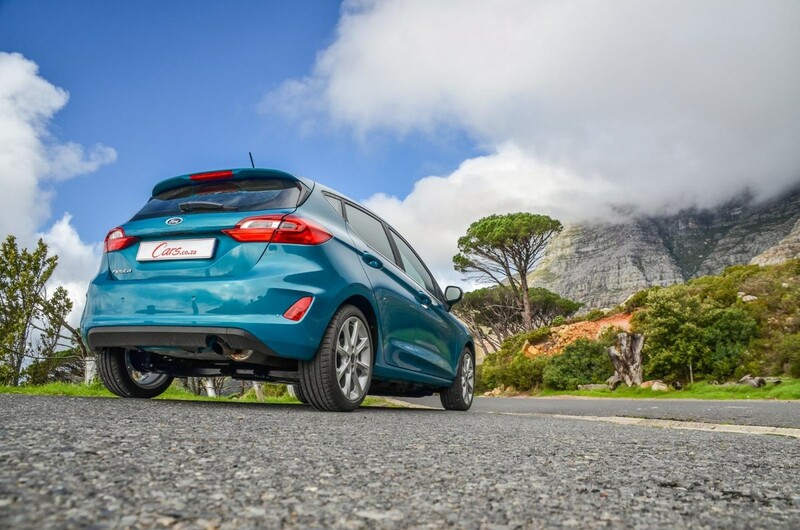 While the Fiesta is refined and delivers adequate performance, its quirks come to the fore when you drive it more spiritedly. 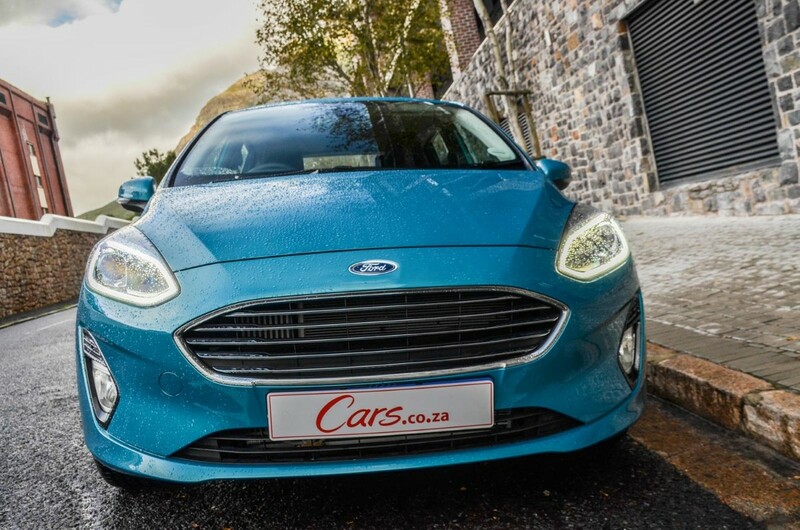 We found the Ford performed best when driven with a measured approach, as the engine becomes noticeably strained when driven with more fervour. The throttle pedal is very responsive – but perhaps too responsive – because the 1.0T Titanium has a tendency to lurch if you don't apply smooth inputs. The automatic transmission was not as smooth or as responsive as we would have hoped. 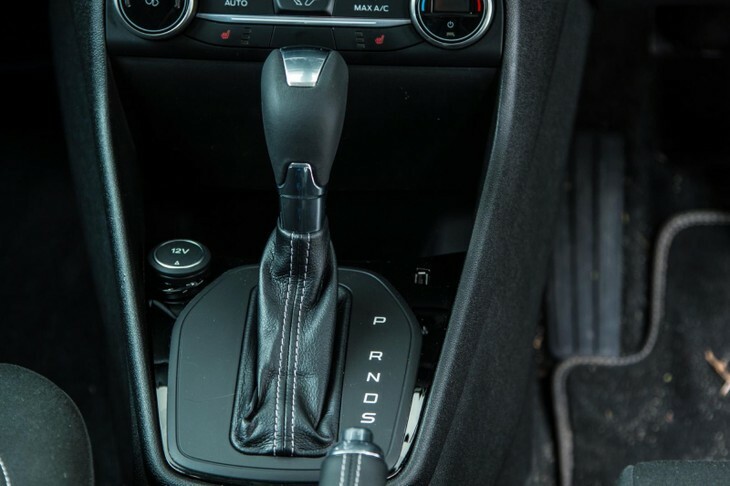 Many will enjoy the convenience of the automatic transmission, but its shifts were not as smooth and seamless as we had hoped. In fact, when in sports mode, it didn’t feel entirely sure which gear it wanted to be in. 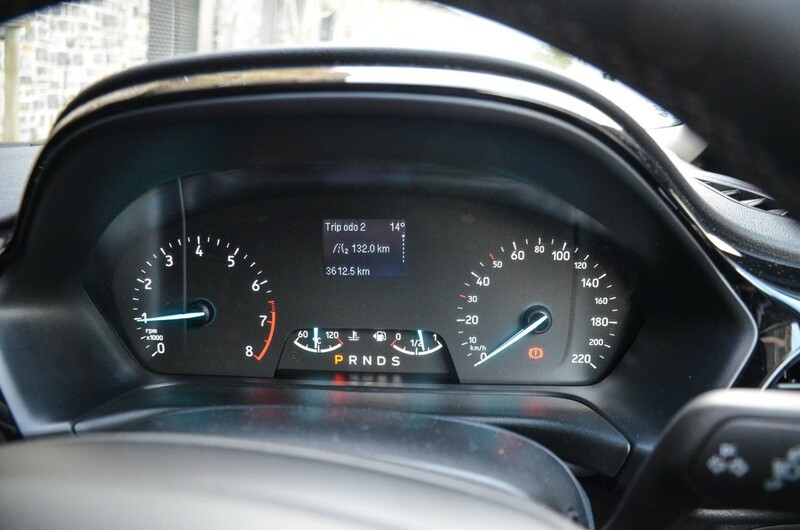 There are steering wheel paddles, with which you can use to manually shift gears, but because the transmission is quite slow to respond to inputs, it was simply better to let the transmission change gears on its own. 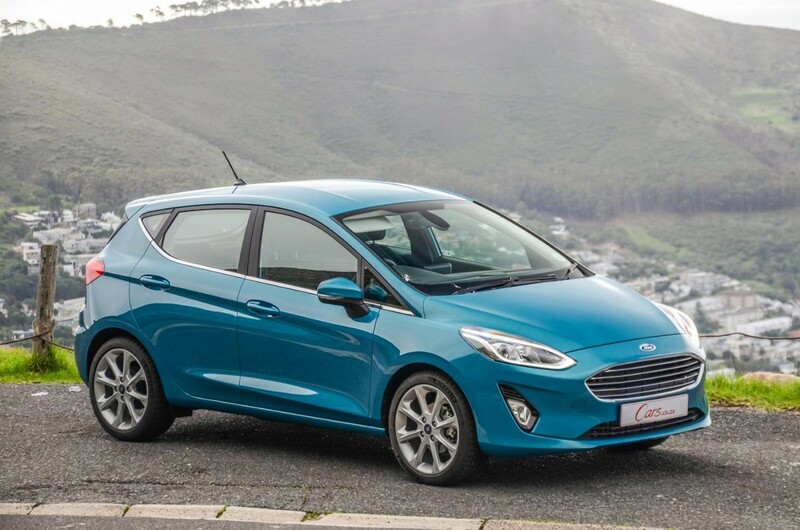 In terms of shove, the Fiesta has enough to comfortably execute quicker overtaking manoeuvres and it accelerates to the highway speed limit with very little fuss. 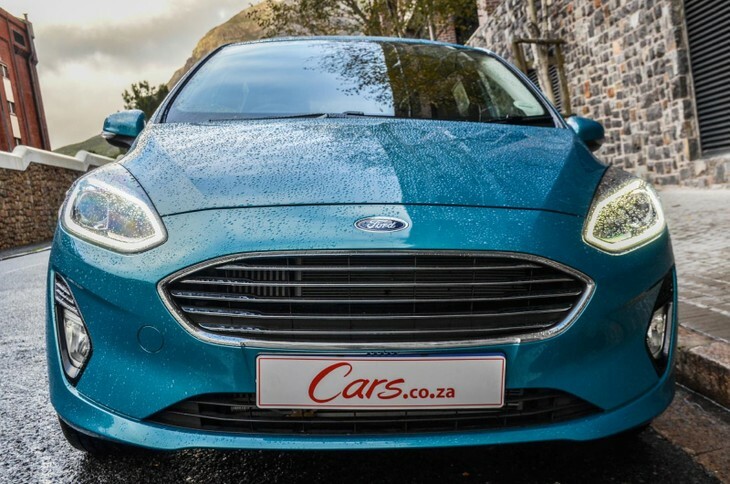 For the most part then, the Fiesta automatic offers average performance, but it’s not as fun to drive as we expected it would be. 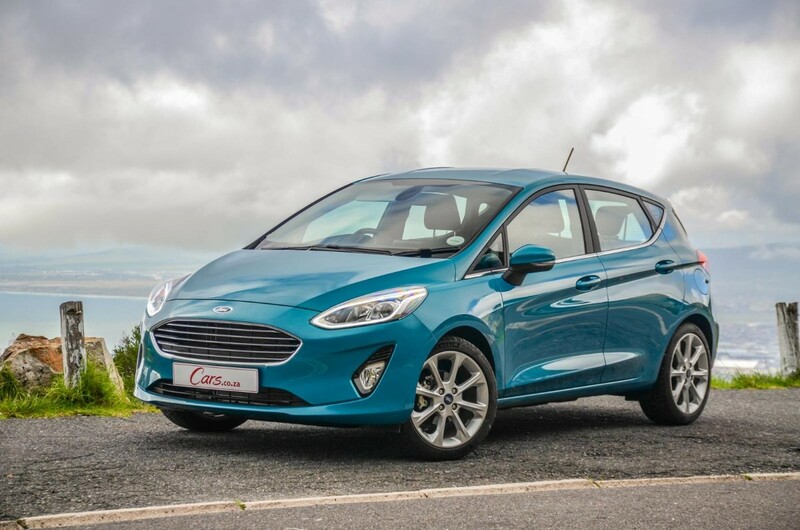 The Fiesta has an encouraging claimed fuel consumption figure of 5.2 L/100 km, but it proved to be much thirstier during our test with a real-world average of 9.2 L/100 km, a figure that we could probably improve upon with more effort. 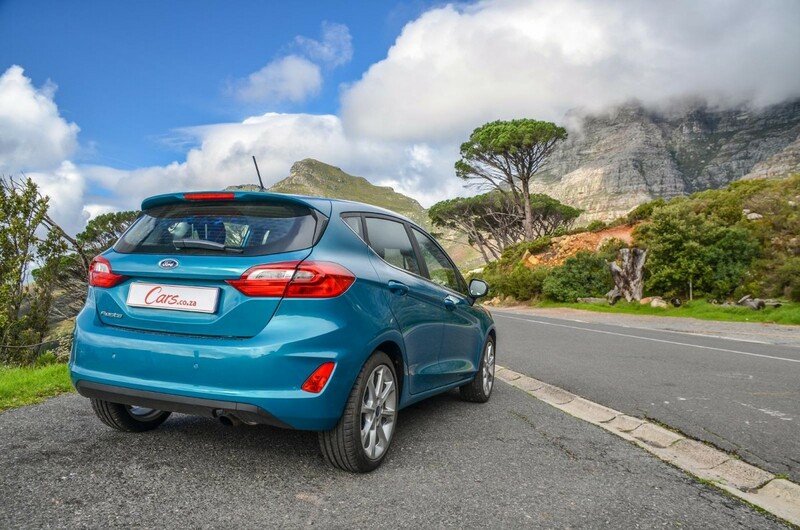 The Fiesta offers entertaining handling ability and its ride quality is excellent. The Fiesta positively shines in terms of ride and handling, however! It remains admirably composed on the road and delivers an excellent ride quality that is both comfortable/forgiving on varying surfaces without ever feeling floaty or ponderous. What's more, noise, vibration and harshness (NVH) has improved significantly: the cabin is noticeably quieter while driving, something that both the driver and passengers will appreciate. Taller passengers will find rear leg- and headroom to be a bit of a squeeze. 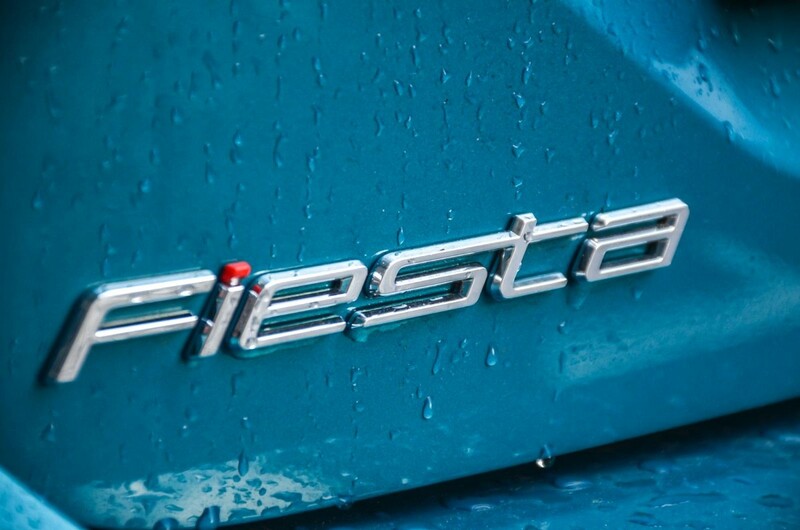 The Fiesta is average in terms of practicality. Its luggage bay has a claimed capacity of 303 litres, is wider than before and reasonably deep, with the 60:40 split rear seatback offering flexibility when you need to haul bulkier items. With the rear seats folded down, there is 984 litres of utility space. 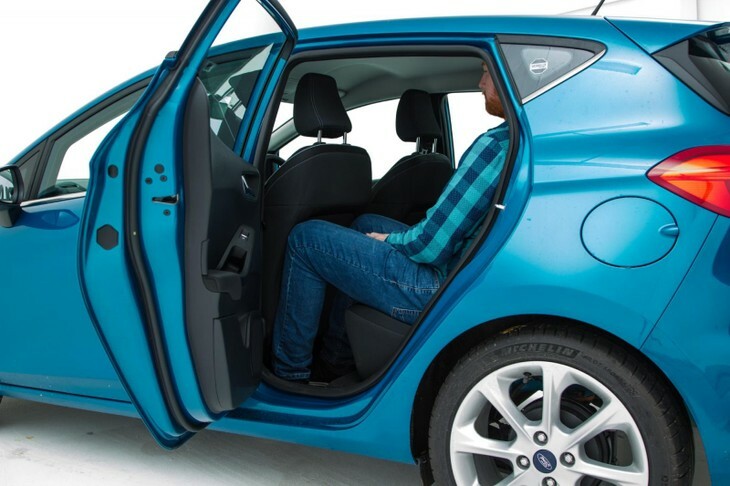 Ford says that rear passengers are afforded 16 mm more knee room, but we found it to be quite tight when we conducted the standard sit-behind-yourself test. Taller adults will, therefore, struggle to get comfortable in the back, but it must be added the seats are reasonably soft and supportive. In terms of in-car storage space, the new Fiesta now has an enlarged glovebox, as well as a 1.0-litre central storage bin that doubles up as an armrest for the driver, which is very nice. The door mouldings have space for small bottles and there is a pair of drinks holders for the driver and front passenger. There’s also ample space ahead of the gear lever to store your phone and other oddments. 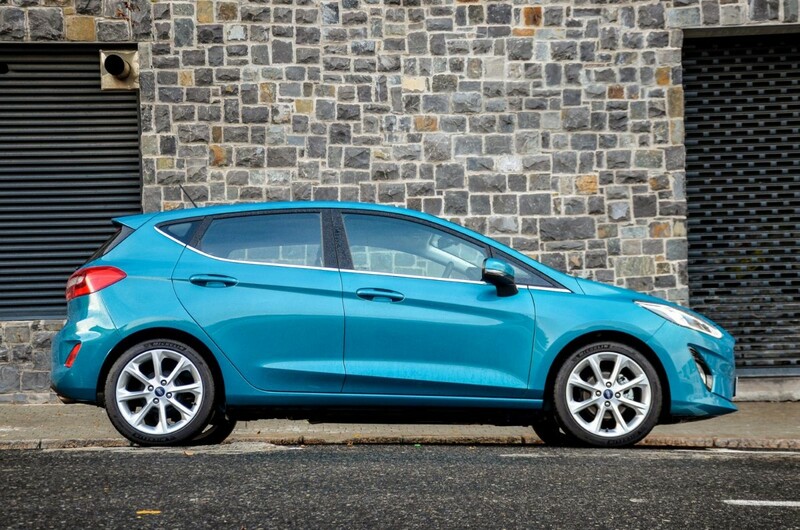 This Fiesta is packed with standard features and the 8-inch Sync3 infotainment system is a highlight. 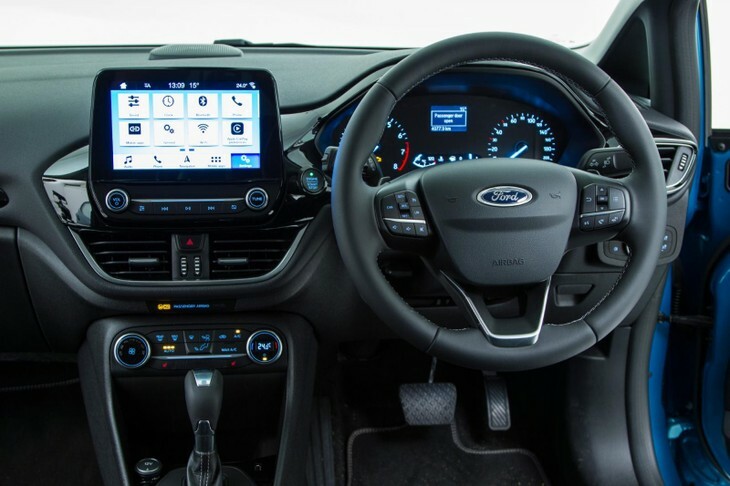 The interior design of the Fiesta is a significant improvement over the previous version and it will appeal to youthful buyers especially. The multi-function steering wheel is well-sized and wrapped in plush leather and the column is adjustable for rake as well as reach. However, elsewhere, the interior offers a mixed bag of materials of varying tactile quality and although the build quality is generally good, it’s not class-leading. As a result, the Fiesta’s interior is middling. It’s not cut-price in any way, but it’s not all-out premium either and we don’t think it will age particularly well. 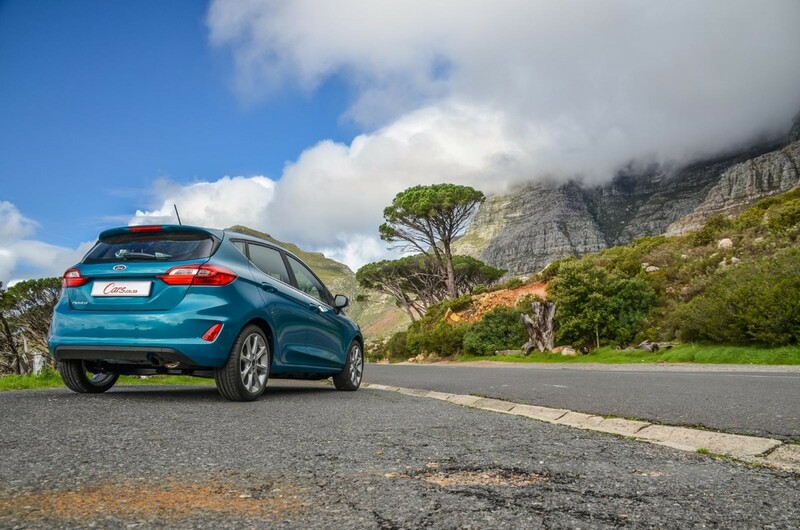 Nonetheless, this Fiesta’s value proposition is significantly strengthened when you delve into its extensive standard features list, which is notably generous. 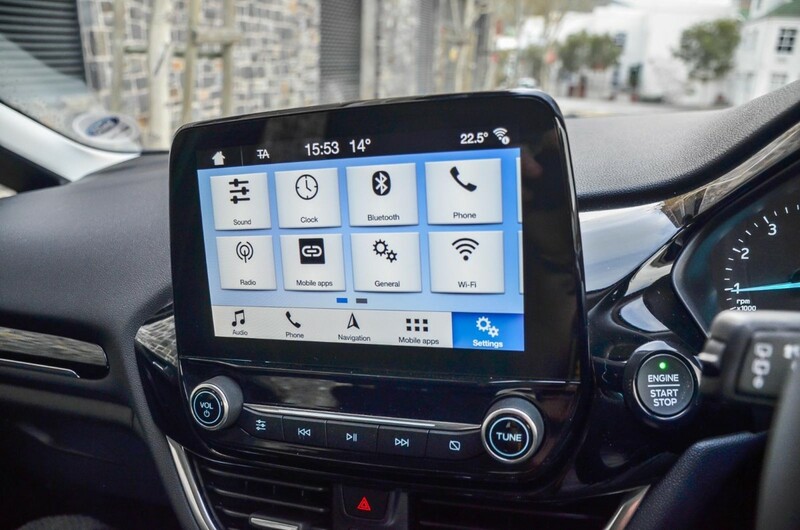 It comes crammed with standard features such as an easy to read (and use) "floating" 8-inch touchscreen infotainment system, with SYNC3, Bluetooth, voice control, navigation and App Connect. There’s also 2 USB ports, cruise control, climate control air conditioning, rear park distance control and heated seats. It’s also worth noting that automatic headlights and rain-sensing windscreen wipers are standard on the Fiesta. Interior quality is a mixed bag and we found the instrument cluster to be a bit bland-looking in this range-topping Fiesta. Safety specification is comprehensive too and a total of 6 airbags, ABS with EBD, brake assist, electronic stability control with traction control, hill launch assist and ISOFIX child seat mounts are standard. 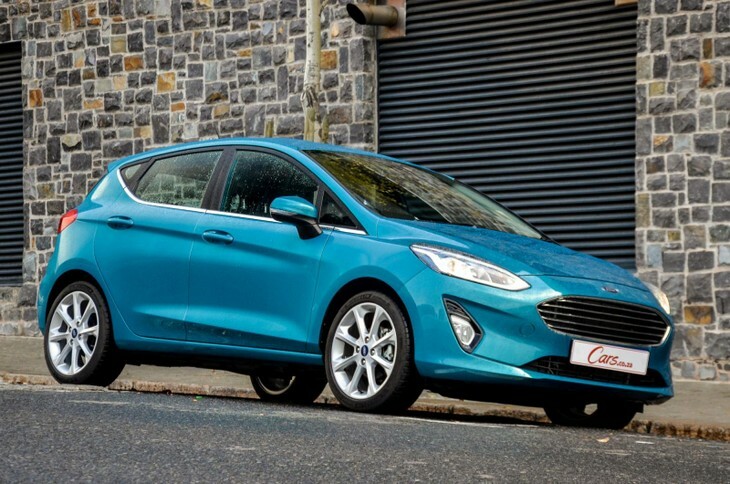 If it’s ultimate value for money you seek, then the Fiesta makes a strong case for itself. 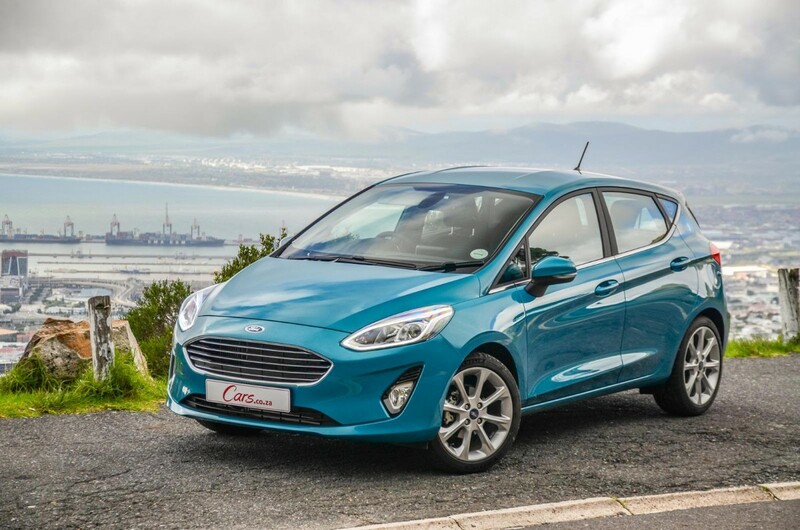 The Ford Fiesta 1.0T Titanium automatic is priced at R310 600 and is sold with a 4-year/120 000 km warranty and a 4-year/60 000 km service plan. 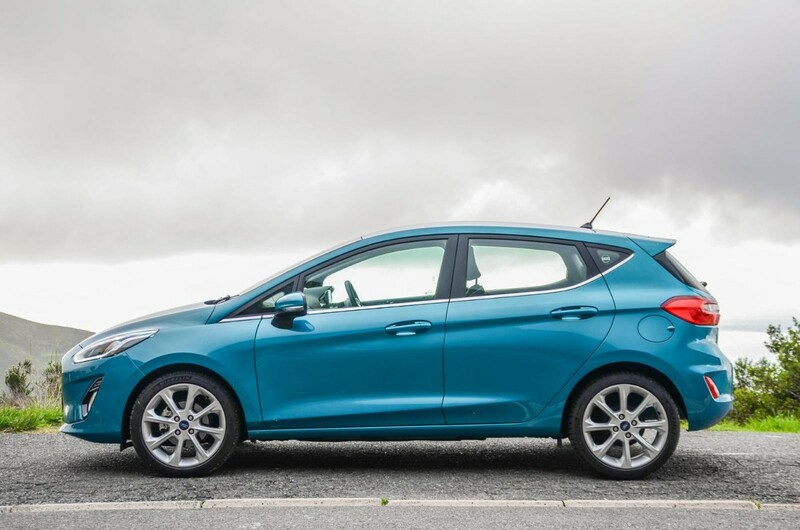 The Fiesta automatic has its flaws, but it still offers good value if you can afford its price tag. 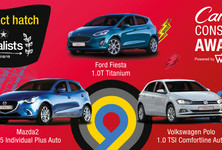 There is much to like about this new Fiesta, which is arguably the strongest rival to the top-selling Volkswagen Polo. Not only does it look good in the metal, we anticipate many buyers will find its "all-inclusive standard features list" difficult to resist. 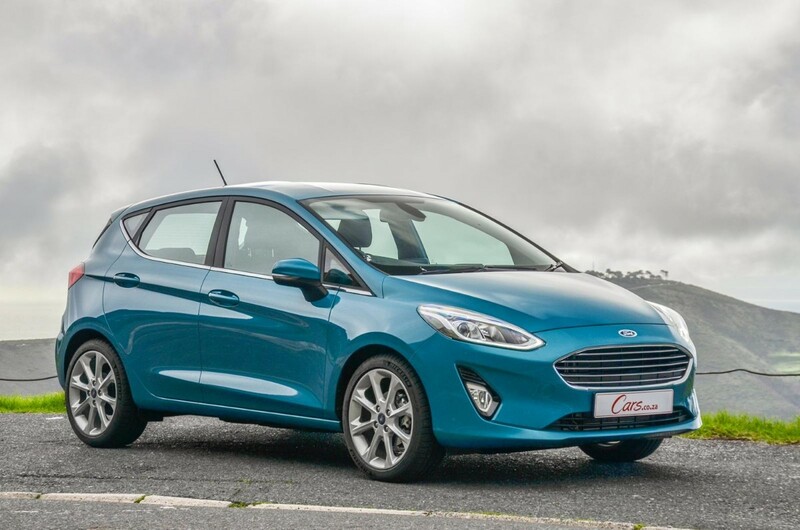 We found the newcomer's handling ability and ride quality particularly impressive; the Blue Oval's compact hatchback will adequately serve as a stylish and relatively practical daily runabout. 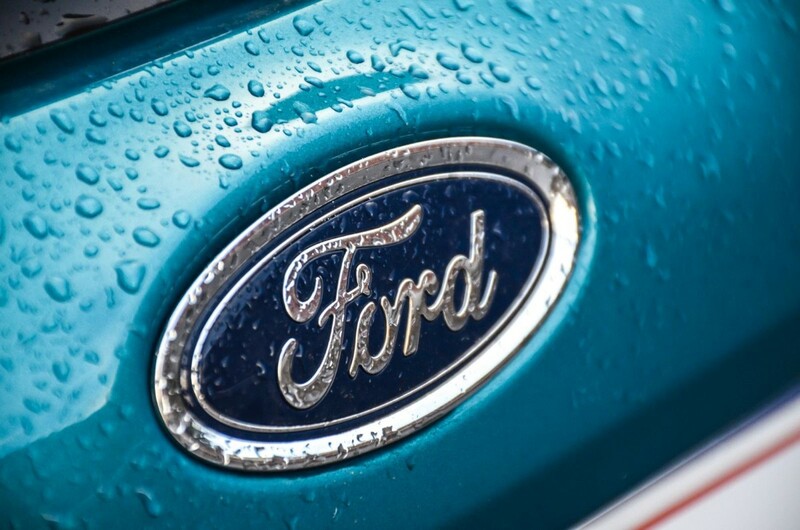 Interested in buying a new/used Ford Fiesta?